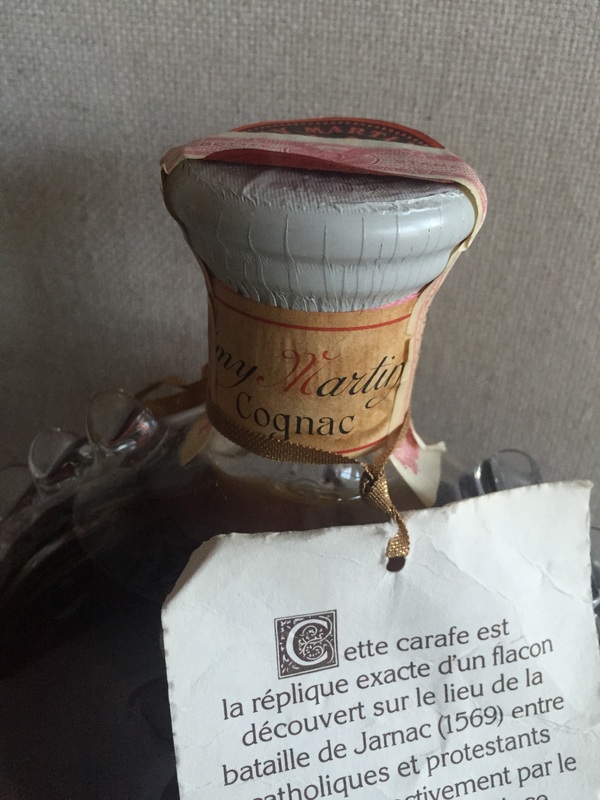 A reader has a cognac bottle of Rémy Martin Louis XIII at home. 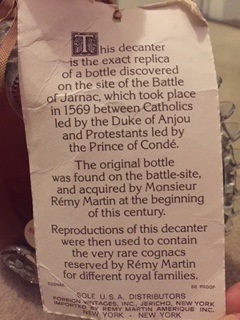 This decanter is the exact replica of a bottle discovered on the site of the Battle of Jarnac, which took place in 1596 between Catholics led by the Duke of Anjou and Protestants led by the Prince of Conde. The original bottle was found on the battle-site, and acquired by Remy Martin at the begining of this century. Reproductions of this decanter were then used to contain the very rare cognacs reserved by Remy Martin for different royal families. the same content is written in french on the other side of the label. 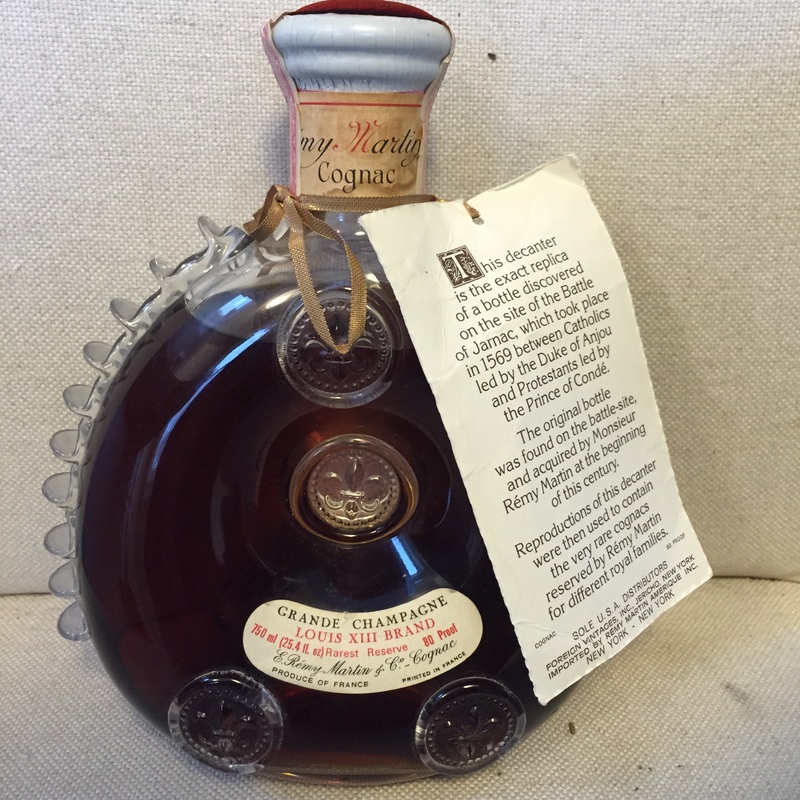 Remy Martin Louis XIII Cognac 1973 cork. un-opened and unaltered. The level of the cognac: High shoulder or top shoulder: the level of cognac has reached the upper curve of the shoulder. doyou have the packaging and the stopper? 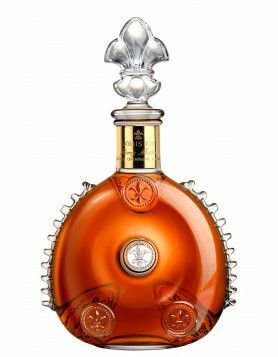 I have an unopened bottle of Remy Martin Louis XIII and I wish to sell it. Please tell me and let’s discuss it. Hi, do you have the original packaging and stopper? If so, I offer $1900. Do you still have the Louis Xiii for sale please? I am only interested if you have the stopper and the case ( as per the previous comments) I am based in the UK & actively looking to purchase a bottle before Christmas. 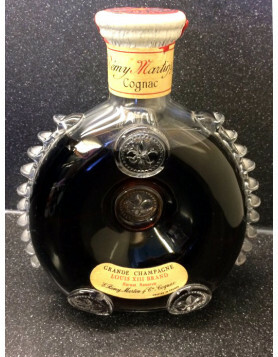 is anyone interested in a Remy Martin Louis X111 Cognac? or any suggestions on where to sell it? I have a similar bottle- but no case. I have the stopper also. The only issue is that some of the crystal fins on the side are broken. Is anyone still interested in buying? I am on Long Island in New York. I have a bottle of Cordon Blue purchased in 1976. It’s in a blue, cigar style box with gold satin padding. Is there a market for this? I have a unopened bottle of Louis XIII still in the box with booklet, stopper, and the second box for carrying. I’m looking to get $2500 or best offer. Im located in Essex county NJ Please no offers under $2k. I have a bottle of Louis XIII cognac given to me by a friend. I would like to find a value for insurance purposes. It is a 1.5 l with the stopper, box and carrying case. The only documentation that I can find on it is carafe No. cc0759. If you are interested in selling you can have a look at our auction section. The process would include an estimation of your bottle´s value by our experts. For further questions, please have a look at our auction FAQ.